Amazing adventure 4All Extreme yourself!!! Gear up and before you know it you’ll be high up over a tree overlooking the jungle. Your heart will be pounding and the adrenaline flowing as you take flight on the first of 10 World-class Ziplines, (the last zipline is for you to decide if you finish dry or get soaked in our all new AquaZip! ), then, you’re off to Tarzania, the Zipline Coaster. Once your feet are back on the ground it’s time to head further into the jungle on a Safari Truck ride; your destination…our very own private cenote to freshen up and play!!! Contact IVI DMC2 to customize your event. Hello there! We are glad to be in your hands and look forward to serving you in finding the best destination, location, venue, and CSR or adventure activities for your next business endeavor, event or wedding. We are also glad to provide you with a ten-year planner (2018–2027) for you to keep track of your work and help you achieve your goals. We would like to inform you that we will be managing IVI DMC2’s communications, including the CommuniQuest Digital magazine and DQuest.travel webpage. We gave a facelift to this Meetings & Events Directory, hope you like it. It´s been a pleasure greeting you and please feel free to contact us should you need more information. ¡Hasta la vista! Pa.Lo.Ma. DESIGN: Editorial Verás. Plaza Hollywood Local 86, Sm. 35, Cancun, Quintana Roo, Mexico CP 77508 Tel. +52 (998) 193 0200 editorialveras@caribemexico.com editorialveras.com PHOTOGRAPHY: Editorial Veras Image Bank; IVI DMC² Image Bank; Mexico Tourism Board (CPTM); Cancun, Riviera Maya, Cozumel, and Guadalajara Tourism Promotion Trusts, Cuba, Sol de Cuba, Dominican Republic, Costa Rica, and Panama Tourism Boards. Flight Timetable Mexico	Dominican	San Jose,	Panama City	Republic	Costa Rica	City Buenos Aires, Argentina	12.40	10.50	10.16	17.20 Mexico City	•	9.10	3	3.40 Panama City	3	2.30	1.15	• Chicago, USA	4	7.30	6.10	5.32 Dallas, USA	2.45	8.12	3.10	8.20 London, England	16.25	13.40	18.40	13.20 Los Angeles, USA	4	12.30	6.30	6.50 Madrid, Spain	17.35	8.20	10.30	14.25 Miami, USA	3.20	2.30	2.50	3 New York, USA	4.55	7.12	5.20	5.20 Paris, France	17.25	11.30	16.36	17.10 Dominican Republic	9.10	•	4.50	2.3 Rio de Janeiro, Brazil	17.35	11.21	9.56	17.39 Rome, Italy	17.50	13.25	17.25	21.10 San Jose, Costa Rica	3	4.50	•	1.15 Santiago, Chile	8.25	12.20	9.10	6.25 Sao Paulo, Brazil	13.30	11.30	9.43	16.52 Toronto, Canada	7.10	10.48	10.45	9.17 ■ Non-stop flights. ■ Flight time with one or more stops. Made with natural materials selected by their harmonic benefits and symbolic value, our products exalt and balance your senses through the use of nature, by cleaning and clearing your energy space. stereo with microphone, and radio communication system. handmade, recycled, recyclable, or just unique. of your budget for this extraordinary event. where all of your guests will receive a personalized attention. Creacion Fotografica is a still photography production company. We offer our customers the latest in equipment and trained personnel in the visual arts for their aerial, commercial, meetings and conventions shots; we provide quality results that meet the needs and expectations of our customers. WHY CANCUN? • Cancun is a multifaceted destination with over 35,000 hotel rooms. • Quality tourism infrastructure. • Extensive aerial connectivity. • Unique travel experiences (adventure & cultural activities, gastronomy, golf, spa, shopping). • Over 900,000 sq. ft. of space for congresses, groups, conventions and exhibitions. GOLF COURSES: The best golf courses in gorgeous surroundings, both for beginners and amateurs. SWIM WITH DOLPHINS (or with manatees, sea lions, or sharks). THEME PARTIES: Pirate boats, Mexican parties, contests, and much more. SHOPPING: Modern shopping malls and handicraft markets. GASTRONOMY AND NIGHT LIFE: Over 300 restaurants with a variety of mexican and international cuisine. The best bars and nightclubs, some with live music and performances. SPAS: For a relaxing and energizing day. ADVENTURE AND NATURE: Incredible eco-parks with a wide range of activities, crystal-clear cenotes, and much more. MAYA HERITAGE: Tours to fascinating archaeological sites such as Chichen Itza, Uxmal, Coba, and Tulum. INFRASTRUCTURE •	35,270+ hotel rooms including Grand Tourism and five stars. •	Facilities for groups and conventions. In addition to rooms for events in its top notch hotels, Cancun has a Convention Center in the heart of the hotel zone, with 22 rooms and a conference room. •	Airport with flights from 67 domestic and international airlines. BRIEF HISTORY Located in the State of Quintana Roo, ancient Mayan cities with religious and commercial activity settled on its coast and along the Riviera Maya during the Postclassic period. In 2018, Cancun celebrated the 48th anniversary of its foundation. A unique location that combines the natural and cultural wealth of three destinations in one: the Caribbean, the Mayan legacy, and Mexico. WATER SPORTS: Fishing, scuba diving, windsurf, kitesurf, sailing, flyboard, wave runners, speed boats, submarines are activities that boost your adrenaline. ACTIVITIES AND ATTRACTIONS •	BEACHES: White sands and turquoise blue waters. Your success is our passion The best location in Punta Cancun. Over 86,000 sq ft/ 8,000 mÂ˛ of indoor and outdoor meeting space. At Iberostar Hotels & Resorts youâ&#x20AC;&#x2122;ll find everything you need for an unforgettable occasion, beginning with an unrivaled selection of all-inclusive resorts. As recipient of the coveted AAA Five Diamond Hotel Award, the JW Marriott is a deluxe benchmark resort. It is ideal for corporate retreats and events. A magnificent resort located in the heart of the hotel zone, perfect for weekend getaways, family vacations, and all types of events. Come and share the most luxurious all-inclusive resort experience in the world. Wedding and meeting packages. Royal Service for adults only. From sophisticated perfection to unbeatable convenience The Ritz-Carlton, Cancun, is the most awarded resort in Mexico. The Grand is the Mexican Caribbeanâ&#x20AC;&#x2122;s premier meeting and event destination featuring over 130,000 sq ft of brand new indoor and outdoor space. We are a versatile company offering tailor-made services to fit your groupâ&#x20AC;&#x2122;s specific needs. We have been creating unparalleled adventures for over 20 years. Discover a true Mexican fiesta! Board the colorful lit trajineras and set sail on a nighttime cruise, taste the exquisite Mexican cuisine and enjoy the live music. Parque Maya Cancun is the only Cancun theme park of its kind in the hotel zone! This full day Cancun excursion immerses you in the world of the ancient Maya in a "culture through adventure" experience that will delight your senses. Your expert guides will unravel the mysteries of the Maya through video, replicas and story telling as you enjoy zip lines, a high ropes course, and a birdwatching boat ride in the Nichupte Lagoon. You will delight with the Mayan tasting lunch! The Staff and tour guides were wonderful. International with an Argentinean touch Located in the best area of downtown, it is a wonderfully elegant, contemporary restaurant. Cancun Downtown, Quintana Roo • Contact IVI DMC2 to customize your event. Argentinean Big Steak House One of the loveliest restaurants in Cancun! Every dining area is comfortable and family friendly, making you feel right at home. Cancun Hotel Zone, Quintana Roo • Contact IVI DMC2 to customize your event. bicycle or visit the wonderful archeological site in Punta Sur. Everyone we worked with from the company was very helpful and great to work with. Fish, Seafood, Steak & Lobster House The most exclusive restaurant in Cancun, an invitation to enjoy great food, the best service and the warm Caribbean atmosphere. 125 miles of pristine Caribbean beaches, wonderful resorts, theme parks, ancient Maya cities, tropical jungles, and cenotes. MAIN CITIES AND TOWNS (Distances from Cancun) Puerto Morelos (23 miles), Playa del Carmen (42 miles), Puerto Aventuras (55 miles), Akumal (65 miles), and Tulum (82 miles). PLAYA DEL CARMEN One of the favorite and fascinating vacation spot, an idyllic place located in the heart of the Riviera Maya. Walk along the 5th Avenue and enjoy its many restaurants, bars, stores, and a great cosmopolitan atmosphere! INFRASTRUCTURE •	48,000+ hotel rooms, including Grand Tourism and 5 stars. •	Cancun International Airport is located 35 miles from Playa del Carmen. •	Fantastic hotels with full group and convention facilities. QUALITY: A dynamic, sustainable, and 100% tourist destination is guaranteed. UNFORGETTABLE EXPERIENCES: At dolphinariums, the aquarium, Caribbean islands, relaxing spas, and much more. PARTIES AND EVENTS: Innovative activity design for groups, and world-class shows, such as the Cirque du Soleil. GOLF COURSES: Beautiful golf courses of such famous designers as Jack Nicklaus, Greg Norman, P.B. Dye, Robert Trent Jones Jr., Nick Price and Robert Von Hagge. ADVENTURE AND NATURE: Crystal clear cenotes for admiring, swimming, snorkeling or diving, ancient caves, and boat tours in the beautiful Sian Ka’an Biosphere Reserve, with manatee, crocodile and bird watching. MAYAN HERITAGE: Tulum (overlooking the ocean) or Coba (deep in the jungle). ACTIVITIES AND ATTRACTIONS •	BEACHES AND WATER SPORTS: Relax on the sunny beaches or practice water sports such as sport fishing, scuba diving in the Great Mayan Reef, kitesurf, sailing, and more. beachfront location, surrounded by a lush tropical mangrove. incentives with a wide arrange of offers to choose from. Experience Riviera Maya, where Paradise is Forever! just a few steps from the famous 5th Avenue of Playa del Carmen. Everything was great! Great Service. Experience more at El Dorado Spa Resorts. suites, and the Grand Class Ambiance, with 90 oceanfront suites. design and all oceanfront suites. It has been a pleasure to work with your staff. RESCO was extremely pleased with your attention to detail. Continue to work with the same spirit of service! A breathtaking sanctuary, perfect for incentive or business events, with its award-winning Spa, golf course, magnificent beach and restaurants. A space of luxury and romance, Chablé Maroma by Hamak Hotels features Villas with private pools, moon showers, and design respecting the environment. 314 spacious guestrooms, in the best location, just one block from La Quinta Avenida. Over 15,000 sq ft of flexible event space and outdoor meeting areas. A unique destination that fuses the best natural parks in the world with a new and impressive hotel, where you can experience the All-Fun-Inclusive™ concept. Mukan Resort by Hamak Hotels is located in the Sian Ka’an Reserve coastline, a UNESCO World Heritage site. Incredible views and sense of privacy. Meeting makes sense at the Fives Stimulate the Curiosity of your team by rewarding them with an incentive trip that will lead to Meet the City like never before. Created in 1999, this mexican tour operator company has been a pioneer in ecotourism with innovative expeditions, directed to the tourists with interest in the Maya culture and nature. Alltournative has been encouraging economic and social development in the maya communities where they operate; elevating the maya heritage, fostering pride in its traditions and roots; preserving the environment and protecting the natural wealth of this destination. The most spectacular place in the Riviera Maya Meeting this underground reality could seem like trespassing dimensional gates, it is amazing and difficult to describe, but Rio Secreto is a natural treasure that opens its doors to be shared, to be enjoyed and to be respected. For your next event we offer comfortable, well-designed facilities and excellent services provided by our groups specialized team. Come and live a unique experience! It was really great! Thank you very much, our guides have been great people and passionate about their jobs. The beauty of the cave, the quietâ&#x20AC;Ś the guide was very knowledgeable, such special experience. Absolutely amazing! Unforgettable excursions and personalized care in private facilities with activities such as snorkeling, zip lines, rappel, ATVs and visits to archaeological sites. Riviera Maya, Quintana Roo, Mexico • Contact IVI DMC² to customize your event. Enjoy a natural Paradise in the Riviera Maya, with more than 40 attractions and activities. Over 20 unique and exclusive venues for your group events. allow guests to have emotional and educational encounters with Dolphins, Sea Lions, Manatees and other incredible marine species. Your team is amazing! Thank you for everything. TESTIMONIAL FOR IVI DMC2 Jessica Marsh, Motivation Through Incentives Inc.
An extraordinary park, a place as fun as it is magical, as amazing as it is enigmatic, and as crazy as it is rational. The perfect half day tour for your Groups! The jungle comes to life in the best adventure Park in Riviera Maya. During the day fly over the trees and discover amazing caves; and at night, Xplor Fuego. beaches that frame it. Thanks to its great marine biodiversity, Cozumel is considered ideal for diving. But this is not the only thing that will make you love this island: Spectacular, dreamy landscapes, a variety of activities such as zip lines, rappelling, water sports, swimming with dolphins, golf, motorcycle rides, excursions to Mayan vestiges, and beautiful ecotouristic parks. Tax free shopping with Money Back International tourists receive a refund of 8.9% of their purchases when they shop at any of our 6,000 affiliated stores. Visit our module before leaving Mexico. DINING: More than 90 restaurants and cafes, in addition to numerous beachfront and downtown lounges and bars. SHOPPING: A duty-free zone, it is recognized for its variety of jewelry, perfume, craft, souvenirs, and fashion boutiques. NATURE: It is home to many natural wonders: the Cozumel Reefs National Park, Chankanaab Park (with a botanical garden and a dolphinarium) and Faro Celarain Ecological Reserve. SPORTS: A prime destination for sports tourism, organizing events such as Ironman, it is also a premier diving destination, with over 40 dive sites, and water sports such as snorkeling, kayaking, fishing, windsurfing and kitesurfing. For landlovers? Golf, horseback riding, tennis, and exciting ATV and jeep tours. CULTURE: Visit the Maya archaeological site San Gervasio, sanctuary of the fertility goddess Ixchel, and the Museum of the Island of Cozumel. MEETINGS: A perfect fit for small to medium groups seeking a refreshing setting, unforgettable group excursions and team-building activities are available, as well as its newly remodeled convention center. It's Mexico's largest inhabited island (approximately 30 miles long and 10 miles wide), a world-class diving Mecca and major port of call for cruise ships. TRANSPORTATION •	Plane – There are numerous daily domestic and international flights into Cozumel, also temporary charter flights from Canada and the United States. •	Passenger ferries – Back and forth between Playa del Carmen and Cozumel, they operate continuously every hour, and the crossing takes approximately 35 minutes. BRIEF HISTORY It has been settled since the beginning of the common era. It rose to prominence among the Maya as both a trading post and religious center, but was abandoned during the Spanish Conquest. It was reborn in 1852 when Yucatcans fleeing the Caste War, migrated to the island. International tourism discovered Cozumel in the 1960s. It's original name was Cuzamil, Maya for "Land of the swallows". ACTIVITIES AND ATTRACTIONS •	BEACHES: The West coast features long stretches of powdery white-sand beaches with calm waters. The East side offers a mix of white-powder beaches and rock-strewn shorelines. Amigos of the Planet Foundation is an international nonprofit organization that seeks to inspire international charitable giving by U.S. donors, with an emphasis on Mexico and Latin America. Our priorities are environmental conservation, health and education. Get involved - Together we can make a difference. A Donor-Advised Fund is a fundraising vehicle administered by a private charity like Amigos of the Planet, created for the purpose of managing charitable donations on behalf of an individual, family or company, it provides an easy, cost-effective way to support the causes you are passionate about in Mexico and Latin America. We offer donor-advised funds that are uniquely flexible: •	APF accepts the widest range of assets of any charitable organization. •	APF can make international grants and other types of specialized grants. •	APF offers a wide range of investment options. •	APF allows you to identify successors or charitable beneficiaries so that your donor-advised fund can exist in perpetuity. •	APF offers strategic direction, immediate tax advantages, flexibility, administrative and financial convenience. Estate Planning Planned giving through your estate plan is one of the most rewarding ways to support the causes you care about. But for many, it can be a complex and uncertain process. APF can help you enjoy the financial benefits available through planned giving while leaving a legacy to be remembered. With planned giving, you can use financial tools like bequests and charitable remainder trusts to: •	Reduce the tax burden on your family •	Receive estate tax savings •	Receive a fixed income for life •	Support your chosen causes for years to come •	Make a real difference in the lives of others. The World of the Maya refers to the collection of Central American countries and states of Mexico that have the privilege of sharing the legacy of this amazing civilization. In Mexico, Mayan archaeological vestiges are found in Chichen Itza, Ek Balam, Uxmal and the Puuc Route, in Yucatan; Edzna, Chicanna and Calakmul, in Campeche; Comalcalco in Tabasco; Tulum, Coba and Kohunlich in Quintana Roo; and Palenque, Yaxchilan, Tonina and Bonampak in Chiapas. In Belize, Lamanai, Caracol and Xunantunich; in El Salvador, San Andres; in Honduras, Copan; and in Guatemala, Quirigua and cities of El Peten, such as beautiful Tikal, named, among others, World Heritage Site by UNESCO. PASEO MONTEJO: Stroll along it or take a horse drawn carriage (calandria). MUSEUMS, THEATERS AND SHOWS: Merida is one of the cities with the most cultural events in Mexico. HACIENDAS: A legacy of the golden age of sisal, they are now mostly transformed into museums and luxury hotels. NATURE: Close to Merida you´ll find a lot of beautiful cenotes, coast ports such as Progreso, and reserves such as Celestun. art infrastructure; and the newly revamped Convention Center, with more than 72,000 square feet of meeting space. ACTIVITIES AND ATTRACTIONS •	DREAM BEACHES: Isolated, romantic, for sports or family time. 19 beaches worthy of the Blue Flag distinction. Beautiful beaches and semi-tropical vegetation, with a variety of activities, in sharp contrast with a quiet desert. LUXURY INFRASTRUCTURE: Sophisticated hotels (17,000 world class hotel rooms), refined spas. Feel like a star! COMMUNION WITH NATURE: From December to March, huge whales come to give birth, you can book a tour to enjoy this wonderful experience from a short distance. ADVENTURE: Zip lines, camel or horseback riding... or step away from the ocean and explore inland Baja California, the ultimate terrain for off-road and dune buggy exploration. HEADING FOR THE EAST CAPE: A paradise for surfers and sport fishing lovers. WATER SPORTS: Deep sea fishing, scuba diving, sailing, parasailing, kayaking, paddleboard, and more! SPECTACULAR GOLF COURSES: Between the arid landscape and the blue ocean. GOOD RESTAURANTS: Enjoy seafood and Mexican and international gastronomy. RELAX THERAPY: Only Los Cabos provides the atmosphere and the surroundings to enjoy it. Los Cabos is comprised primarily of two towns, San Jose del Cabo and Cabo San Lucas; which are linked by a 20-mile corridor lined with worldclass resort properties and golf courses. Contact IVI DMC² to customize your event. Grand Velas Los Cabos is a Luxury All-Inclusive resort with 304 suites overlooking the Sea of Cortez and Pacific Ocean. A 100 mile corridor full of attractions and tourist services in the midst of spectacular natural Pacific sceneries. Its contemporary architecture and decor distinguish it as the destination’s most impressive development. GOLF COURSES: By great designers such as Jack Nicklaus, Greg Norman, and Von Hagge. ACTIVITIES: Whether ground activities such as zip lines, rappel, horseback riding or quads, or water activities: sport fishing, sailing, scuba diving, snorkeling, and surfing. Whale and sea lions watching, swimming with dolphins or baby turtle release. •	I appreciate the follow up and help with gifts. Great Experience! DINING OUT: Experience fresh regional top-shelf products, either in a small bistro, or at Five Diamond gourmet restaurant. TESTIMONIAL FOR IVI DMC2 Mandy Espey, ITA Group Inc. LUXURY SPAS: For those in search of rejuvenation, balance, health, and relaxation. Its All-Inclusive accommodations, facilities and world-class service have earned it the AAA Five Diamond Award and membership in The Leading Hotels of the World; the highest recognitions in the international hospitality industry. Grand Velas Riviera Nayarit is a Luxury All-Inclusive resort with 267 contemporary suites located on the Mexican Pacific. Excellent, Professional, Responsive, Supportive, Creative, Thank you. Excellent Job! TESTIMONIAL FOR IVI DMC2 Umberto Fadani, H&A America Corp.
A tourist destination that has kept the true Mexican flavor, between the Sierra Madre mountains and the Pacific deep blue. It is located within Banderas Bay on the Pacific Coast in the state of Jalisco. Its topography is diverse, including tropical forests, rivers, mangrove marshes, and green plains. WHALE WATCHING: From December to March, a unique experience in the Bahia de Banderas. GOLF COURSES by renowned international signatures. ESCAPADES: To the mountains, forests, ocean and rivers: sport fishing, horseback riding and quads. Swim with dolphins and sea lions. Hikes through the lush Sierra Madre, amazing zip lines... Everything is possible! CHARMING cobblestoned streets and white houses with red-tiled roofs. The Malecon is an emblematic space of the city, a seafront promenade 870 meters long. SHOPPING in the city’s markets, streets, and shopping malls. BEACHES to practice scuba diving and surf or just appreciate the view. To the south, you can enjoy clear and calm waters. BIODIVERSITY: In addition to the natural wealth of the Pacific Ocean, the Sierra Madre is home to 400 bird species and around 300 types of orchids. GASTRONOMIC PLEASURES: A variety of options, from cafeterias and small Mexican restaurants to renowned international cuisine restaurants. MEETINGS AND INCENTIVES: With first-class hotels that offer business services, a convention center, DMC professional services, and exciting tours for small or large groups. The architectural and artistic legacy of the Spanish colonization lives in the streets and plazas of many cities throughout Mexico. A beautiful, historic city with a modern flair. czda .d c estadio zda. ind el ejercit o epen jalisco den cia auditorio b. j. It is the second largest city in the country. It has managed to make tradition and modernity coexist in a single space because it preserves centenary culture and tradition such as charreria, folkloric dance, jarabe tapatio and tequila, but it is also the main producer of technology and software. HISTORICAL CENTER, the heart of the city, with historic and cultural highlights such as the Government Palace, the Plaza de Armas, Plaza de la Liberacion and Plaza Guadalajara, museums such as the Museum of Sacred Art, the Museum of Archaeology and the Wax Museum, the Cathedral, the Expiatorio and the Degollado Theater, among others. INFRASTRUCTURE, the international airport is located 10 miles from the city center, golf courses, zoo, theme parks, water parks, spas, a wide array of accommodations, entertainment centers, and facilities for congresses, conventions and incentive travels. CHARRERIA, the typical national sport can be watched in lienzos charros (Mexican rodeo rings). SHOPPING in large shopping malls, galleries, markets and typical tianguis. GASTRONOMY, the traditional Mexican cuisine, with its regional delicacies and international cuisine for all tastes. SURROUNDINGS, in addition to the haciendas, lakes and archaeological sites, you can visit the magic towns of Mazamitla, Tapalpa, and Tequila or the handicraft villages of Tlaquepaque and Tonala, or Zapopan. TEQUILA. The volcano of Tequila extends its arms to embrace this colorful "Magical Town". It is a land of bluegold, the landscape of agave crops, declared a World Heritage Site by UNESCO. Its old ranches and distilleries produce the emblematic beverage of Tequila, which is much more than just a spirit, it is an entire culture full of history. eclectic mix of wrestling matches, grand baroque aesthetic, luxurious palaces, and an incredibly diverse nightlife. It is a destination with an extraordinary mysticism that reveals in its overlapping plurality, folklore, and modernity. ACTIVITIES AND ATTRACTIONS •	HISTORICAL CENTER, declared World Heritage Site by Unesco, it is home to around 1,500 buildings with an artistic or historic value, and used for civil, religious or cultural purposes, among others. The Plaza de la Constitucion, Palacio Nacional, the Metropolitan Cathedral and the Templo Mayor surround the Zocalo, the heart of the city. The huge capital city of the country and its main political, academic, touristic, cultural, economic, and financial center. MAGICAL NEIGHBORHOODS, with their own personality and charm: San Angel, Zona Rosa, Garibaldi-Alameda-Bellas Artes, Roma-Condesa, Polanco, Villa de Guadalupe, Tacuba, Tacubaya, La Merced, among many others. MUSEUMS, Mexico City features over 160 museums, including the World acclaimed National Museum of Anthropology, the National Museum of Art, the Museum of Modern Art, San Ildefonso and the House of Frida Kahlo. BOSQUE DE CHAPULTEPEC, the largest urban park in Latin America, a fun and recreational area for locals and outsiders. TEOTIHUACAN, 27 miles from the capital city, the “city of gods” was once one of the biggest in Mesoamerica, during the pre-Hispanic period. Great people and service. Thank You! The Caribbean in all its splendor, there is nothing else like Cuba. BRIEF HISTORY. Three pre-Hispanic indigenous cultures have been recorded. In 1492, Columbus landed on the island. In 1513, Diego Velazquez, was named governor and exploited the mining industry. Once pirate attacks began, the Spanish Crown designated Havana as the Access Port for ships arriving from the West Indies, thus fomenting its commercial development and fortifying the city. In the 18th century¸ production of tobacco and sugar increased and during the mid-1700s the first social uprisings begin. It wasn’t until 1902 that Cuba declared its independence, and as of 1959 as a socialist republic. •	Cuba does honor to its name, Cubao in the Taino language, meaning “Where fertile land abounds” or “Great Place.” •	It is organized in 15 provinces and one special municipality, with Havana as its capital and most populated city. •	Cuba is an archipelago comprised of the largest island of the Antilles (or Caribbean Sea), called Cuba, the Isla de la Juventud (Isle of Youth), and another 4,195 cays, islets and islands. HAVANA: Capital and main city, as well as Cuba’s cultural and economic hub. Old Havana and its Fortifications is a World Heritage Site. Its traditions, museums and architecture attract more than a million tourists annually. The Jose Marti International Airport is 20 kms. (12.4 miles) from downtown. SANTIAGO DE CUBA: It is the second most important city with regards to the economy, culture, and demographics. CIENFUEGOS: An architectural jewel with a French colonial influence, founded in 1819. CAMAGÜEY: Its historical center is a World Heritage Site. SUN AND SAND: Caribbean waters featuring activities such as snorkeling at Jardines del Rey, and boat rides at Varadero, the most famous beach resort on the island with 30 kms. (18.6 miles) of magnificent beaches and more than 20 thousand hotel rooms. NATURE: Cuba’s variety of landscapes is dazzling and includes beaches and cays, valleys and mountains, nature parks and six Biosphere Reserves. CULTURE: A mixture of European, African and North American cultures, Cuba is recognized worldwide for its music and other arts. In a privileged location in Old Havana, with spectacular views of the malecon promenade, bay sporting activities and events, themed restaurant, varied activity programme and live music. â&#x20AC;&#x2039;Paladar La Moneda Cubana is located at the entrance of the Plaza of the Havana Cathedral. It welcomes itâ&#x20AC;&#x2122;s customers with the Cuban house warm, exquisite flavors and wonderful views. The Guarida paladar opened on July, 1996, in a beautiful palace of the early twentieth century. Today it is a multifamily building, offering a unique environment. Welcome to the Guarida! San Cristobal has a familiar, mystical atmosphere and it's a place full of memories. Through a good dinner, we want to show our past and pay tribute to Cuban culture and roots. endless array of rum brands due to the world’s demand and taste for this elixir made from sugarcane byproducts. Its growing popularity has prompted prestigious producers to launch rums with a full range of flavors, and premium, aged editions. Amongst these fine editions we have Havana Club, Arecha, Legendario, Edmundo Dantes, Caney, Santiago de Cuba, and Varadero. famous cigars come from 100% Cuban tobacco plantations. Its cultivation, harvesting, curing, fermentation, and aging follow strict quality controls. There is no equal product like the Cuban tobacco, due to a perfect and unique combination of factors such as climate, strain or biotype of plants, skillful rollers, and the accumulated wisdom of Cuban farmers. GOLF: The Dominican Republic’s award-winning courses, along and around sparkling seas, blue lakes and lush green hills, are on every golfer’s bucket list. ADVENTURE AND ECOTOURISM: Over 20 natural parks, with a great biodiversity, make up a great environment for outdoor activities, for example at Pico Duarte and Lake Enriquillo. CULTURAL HERITAGE: A mix of races, as varied and colorful as its land, create a social, hospitable, and charming identity. RESTAURANTS, NIGHTLIFE & CASINOS: Its cultural fusion has created a multifaceted gastronomy. Try your luck in one of the casinos you can find in the largest cities and in many resorts! Music and dancing are an integral part of everyday life in the Dominican Republic. SHOPPING: The DR is the shopping giant of the Caribbean. From large shopping malls to small stores, you will find a variety of products, among them handicrafts and cigars. EAST COAST: The fast-growing tourist zone of Punta Cana is perfect for those who love all inclusive paradise. A multicolored canvas of Spanish, French and African influences with a rich history, infrastructure and nature. BRIEF HISTORY •	Hispaniola or the Island of Santo Domingo was occupied during four migration periods by people coming from South America, before the Europeans arrived. Columbus docked on the northern coast of the island in 1492, and named it Hispaniola. In 1493 he founded the first city in the New World: La Isabela. INFRASTRUCTURE •	The hotel infrastructure is made up of around 69,000 rooms, in luxury resorts or small and cozy hotels. •	The Dominican Republic is becoming an increasingly popular destination for groups and conventions, thanks to its coasts, air connections, communication networks, tourist attractions and the number of convention rooms available. •	It has eight international airports and provides excellent connections with international airlines, charters and cruise ships. Long stretches of white-sand beaches, crystal-clear waters and coconut palms. It is a tourist destination born from the rapid growth of investment it generates. The hotels are of the AllInclusive style. There are tours to explore caves, beaches covered in coconut groves in the nearby provinces of Hato Mayor and Seibo. An amazing all inclusive experience. Luxurious rooms, 13 pools, 10 restaurants, 17 bars, golf course, casino, meeting facilities, Spa, and a spectacular beach. WATER SPORTS, such as scuba diving, catamarans, windsurfing, fishing, parasailing, and jet skis. GOLF: Its golf courses boast international fame. CONTEMPORARY NIGHTLIFE, each hotel offers its own show. NATIONAL PARK OF THE EAST. A 42,000-hectare protected area, home to 112 species of birds, manatees and sea turtles. ATTRACTIONS IN SURROUNDING AREAS: El Cortecito, between Punta Cana-Bavaro and Macao. Next door is the Manatee Park, and the home of Ponce de Leon near Boca de Yuma. There are also some souvenir shops on the beach. Meliá Caribe Tropical, Paradisus Punta Cana and Paradisus Palma Real, are designed to provide our guests with a combination of luxury, style, and comfort. The adventure takes place in a tropical forests dotted with typical communities. Refresh in the clear waters of a cave and end the trip on a beautiful beach. Punta Cana, Dominican Republic • Contact IVI DMC2 to customize your event. 11 Attractions to choose from in one place: Zip lines, bungee dome, flight simulator, climbing, segway zorbing, paintball, mountain bike, Dino World and more! of the most beautiful islands in the Caribbean. Excellent response time and understanding of the group needs. Great activity selection and quality. Exhilarating tour in Anamuya. Enjoy an exciting adventure at the top of the trees, slide along 8 doble cables for 2,100 mtrs and 15 platforms. MonkeyLand Safari (half day). In the mountains of Anamuya, interact with squirrel monkeys, eat tropical fruits, visit coffee and cocoa plantations, and learn. After 45 minutes of journey and equipped for your safety, the thrill of flying on suspended wires begins. 12 starts in over 16 platforms in the Taina mountains. Wild Tiger Buggy invites you to discover the most beautiful and spectacular landscape of Punta Cana, come with us and enjoy an amazing adventure day!!! ADVENTURE: It is a land of volcanoes, rain and cloud forests, waterfalls and powerful rivers. You can practice rafting, windsurfing, scuba diving, kayaking, zip lining, and surf. COSTA RICAN PRIDE: It is proud of having over one century of democratic tradition and 68 years without an army. WELL-BEING: Gastronomy, activities and beauty treatments in a relaxing and heavenly environment. PACIFIC COAST: It has big tourist centers and the best beaches for surfing. The medium Pacific region goes from Puntarenas to Rio Baru, and some of its main attractions include Quepos, Jaco and a myriad beaches that can also be found in the southern region, in addition to rivers, thermal waters and indigenous reserves. UNMATCHED ATMOSPHERE: Conference centers in the jungle, championship golf courses, traditional Latin or Caribbean entertainment, plus the country´s extraordinary hospitality, all this makes up the “pura vida” experience. Costa Rica is a country of great diversity, with everything from great mountains, volcanoes, valleys and plains to beautiful beaches. ACTIVITIES AND ATTRACTIONS •	NATURE: Costa Rica is home to 5% of all plants and animals on the planet. The country has over 200 mountains, beautiful volcanoes, thermal waters and 760 beaches to explore, both on the Caribbean and Pacific Coast. Almost one fourth of the territory is a national park, like Tortuguero and Corcovado. It is an exotic place yet with all the comforts. Its natural setting is exceptional with its exuberance and beauty. It covers practically the whole northern sector of Costa Rica, with towns full of customs and traditions. Nature, music and gastronomy are the soul of these small communities. ACTIVITIES AND ATTRACTIONS •	WATER SPORTS: Excellent marine ecosystems for scuba diving, habitat with a great variety of fish, sharks and manta rays. NIGHTLIFE: Bars with innovative entertainment and casinos to try your luck. SHOPPING: At designer boutiques, antique shops; leather goods and handicrafts. INFRASTRUCTURE: Quaint hotels and villas nestled in spectacular natural surroundings. International airport. NATURE: Arenal Volcano National Park, waterfalls, hot springs. Private nature reserves can be visited with previous arrangements with the Costa Rican Private Nature Reserve Network. PANAMA CITY, has all the characteristics of a big metropolis, it is vibrant and dynamic, provides world-class services and top-notch technology, as well as casinos, shopping malls, entertainment centers and the historic city center, declared a World Heritage Site. ENDLESS BEACHES with crystal clear water, perfect for diving, can be found along 1,775 miles on both coasts. FIRST CLASS ACCOMMODATIONS and a long tradition of hospitality. THE PANAMA CANAL, a wonderful engineering feat in a spectacular jungle environment. NATIVE COMMUNITIES spread out in the jungle, who have kept their culture and rituals almost untouched. OUTDOOR ACTIVITIES, whether relaxing activities like a quiet golf afternoon, or more intense activities such as rafting and fishing, among others. Known as the world’s crossroads, Panama offers legendary experiences. INFRASTRUCTURE •	Tourism represents one of the main activities of Panama. The main areas of tourism in the country focus on business tourism, beaches and trade. •	Facilities for groups and conventions: Its strategic location, attractions and tourist activities, its infrastructure and air connections make Panama the ideal destination for meetings. The Atlapa Convention Center can host 10,500 people. It is estimated that the construction of the new Amador Convention Center will be completed by the end of 2018. •	Two international airports offer flights to over 70 cities in America, Asia and Europe. BRIEF HISTORY. The Panama Isthmus was first visited by the conquistadors in 1501. The city of Panama was founded in 1519 by Pedro Arias, and it became the first Spanish city on the Pacific Ocean. to present our philosophy, now with the focus and implementation of our activities in destination management. With this initiative, we consolidated the smooth implementation of our marketing tools in favor of the promotion to the incentives, conventions, and special events segments. 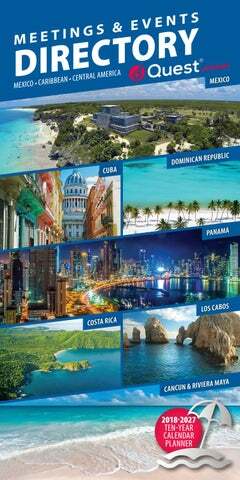 We currently hold presence in Mexico, Cuba, Dominican Republic, Costa Rica & Panama, serving more than 31+ destinations. recognized specialization standards. Our growth is thanks to our customers, friends, hoteliers, suppliers and government who have supported us in the expansion of our brand to meet the highest demands in the market. We are honored to say that we are pioneers and experts in this niche market for two generations. My commitment is to continue strengthening what has been passed on to me, supporting our operations throughout our various countries with high quality management and quality systems, strategic alliances, and honest business practices. We entrust and encourage teamwork as a great time machinery where everyone is ready to provide an outstanding service, ensure high quality standards and exceed expectations, working day by day to achieve our mission. I am pleased to lead this company and I thank you for your trust that since 1986 we have worked passionately with the only mission to follow, making YOU look GOOD! that characterizes the new generation. Therefore, I am convinced that our company will continue to make YOU look GREAT! (Mexico, Cuba, Dominican Republic, Costa Rica, Panama). tation, VIP assistance, and more. From the casual to the elegant and from the fun to the artistic, we customize your program to suit your needs. providing full planning and local logistics services for M&E group programs. Incentive houses, insurance, financial, pharmaceutical, and more! 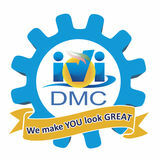 We are the first company to implement the DMC culture in Latin America and recognized by SITE in 1987. IVI DMC² is the only company certified from the year 2000 up to the present with the ISO 9001 standards, which is not only a number but thousands of work hours before the start of events. IVI DMC² insures its services with a liability insurance for 5 million dollars in Mexico and 3 million euros in our destinations in the Caribbean and Central America for each event. We have a human team, intelligent, experienced, enthusiastic and honest with more than 7,301 testimonials demonstrating their efficiency since 1986. We are duly certified as ADMC by ADMEI in Latin America since 2008 in the office of IVI DMC² Mexican Caribbean and since 2018 in the office of IVI DMC² Puerto Vallarta & Riviera Nayarit. offices in 5 different countries covering 31+ destinations. social responsibility projects to establish a mark on the planet. of the destinations in which we operate; to maximize return on investment to shareholders. IVI DMC² has been named one of the top Destination Management Companies Worldwide by Special Events. calidad de alto nivel, alianzas estratégicas y respeto en hacer negocios. Panamá sirviendo en 31+ destinos. trabajando día a día para lograr nuestra misión. seguir ¡Haciendo que USTEDES se Luzcan MUY BIEN! gobierno que nos han apoyado en la expansión de nuestra marca para atender las más altas exigencias del mercado. permanencia de la empresa en el mercado global de manera exitosa. empresa seguirá ¡Haciendo que USTEDES se Luzcan MUY BIEN! punto de contacto para ayudar a los planificadores de reuniones a aprender sobre el destino y sus atracciones, así como en proporcionar servicios completos de planificación y logística local para los programas de M & E.
¡Incentivos, seguros, financieros, farmacéuticos y más! de incentivos, reuniones y eventos. Esto incluye personal del programa, servicios de registro, servicios de mesa de hospitalidad, eventos especiales, decoración, luz, sonido, señalización, escenografía, fotografía, regalos. Proporcionamos casi todo tipo de entretenimiento; incluyendo deportes acuáticos, actividades en equipo, excursiones, servicios de banquetes, programa de cenas, artistas, transporte, arreglos VIP, visitas de inspección, y casi cualquier cosa que usted pueda imaginar para su evento. De lo casual a lo elegante y de lo divertido a lo artístico, personalizamos su programa para satisfacer sus necesidades. antes del inicio de eventos. dejen huella en cada uno de los destinos en los que operamos maximizando el retorno de inversión a los accionistas. IVI DMC² es reconocida como la principal red de DMCs en México, el Caribe y América Central, con 8 oficinas en copropiedad en 5 países diferentes, cubriendo 31+ destinos. IVI DMC² cuenta con la Fundación Amigos of The Planet, implementando proyectos de responsabilidad social. IVI DMC² ha sido reconocido por Special Events entre los 25 mejores DMCs en el mundo de los últimos años. Endeavor to balance flavors (sweet, tart, salty, sour, bland), colors (aim for contrast), textures (crispy, chewy, soft, firm), shapes and sizes (flat, round, long, short, shredded, chopped), temperatures (hot soup, cold salad, warm dessert), and preparation methods (sauteed, grilled, oasted, steamed...). These are some of the most common layouts; however, there are other types such as: Mount V, Cabaret, etc. Style of service •	American-style	•	Family-style •	Buffet	•	Cafeteria-style •	Box lunches	•	Food stations •	Butler-passed hors-d’oeuvres •	French or Russian service Entrée selection •	Consider dual entrées: Beef, lobster or shrimp •	Salads (add meat, chicken, or shrimp) Vegetables and starches •	Potatoes: Fried, baked, boiled, roasted, mashed, or twice-baked •	Rice: White, brown, wild, long-grain, pilaf, risotto, etc. Help attendees who are allergic to some foods avoid them by including a list of ingredients and placing a label on all buffet foods or a printed menu on each table for plated events. The organization of an international event may require more attention to detail than a domestic one. Language and communication barriers require prior planning in order to successfully achieve your goals. During planning it is important to consider several factors including: 1. Check both international airports and airlines that fly nearest the city holding your event. 2. Try to anticipate late departures, late arrivals, and possible traffic so your attendees arrive to your event on time. 3. Incorporate cultural references, such as using local musicians, artists, and regional culinary specialties. 4. Awareness of cultural differences is needed in order to solve or clarify possible issues. 5. Ask your attendees how they want to be introduced (by first/last name). 6. Identify the process of greeting which is laden with cultural expectations. 7. Provide written materials in advance. 8. Proper use of language rather than jargon or buzzwords. 9. Understand customs regulations for shipping or carrying of goods and materials. 10. The perception of time and the concept of punctuality differs from place to place. It is good to bear that in mind when determining the starting and finishing times of sessions. Regarding the destination: 1. Accessibility, airports, and other means of entry. 2. Traditions and customs. 3. Immigration regulations on entry of citizens from different countries. 4. Requirements for entering the country. 5. Restrictions and health requirements. 6. Bank holidays and working hours. 7. Languages ​​spoken. 8. Current sociopolitical climate and its possible implications on safety. 9. Conditions of weather and seasons during group dates. •	The sound system should be arranged in an unobtrusive manner. •	Make sure the volume is set up in advance. •	Check the audio sounds closest to the podium. •	Walk about to check the audio throughout the site. •	Determine the number of channels you need by considering the following: -	How many speakers will you have in your room? -	How many microphones will you have for audience Q&A? -	How many computers will need to be used for audio? -	Will you record the session? •	Avoid feedback by checking where the audio speakers are located and make sure your microphone/lavalier doesn’t cross in front of it. •	Consider putting tape on the ground to indicate the boundaries for your presenters. •	Determine if there are different switches to manage lighting over the presentation screen that are separate for the rest of the room. •	Test lighting with both light-colored and dark-colored backgrounds. •	Get the right amount of lighting by considering the exact lumens (the amount of light) that each bulb emits: -	Break out session: 2500 lumens -	Presentation: 5000 lumens -	Small general session: 7500 lumens •	Remember that a rear-projector will require more room than a front-projector. •	Make sure there are enough electrical outlets available and that they do not become overloaded. •	Surge protectors can be used to protect equipment and increase the number of outlets available for safety purposes. •	Provide desktop outlets as a power source to utilize more space in the conference room. •	Use cable protectors to cover cables running across the conference room floor (black duct or gaffer tape can be used). •	Estimate the pieces of electronic equipment that will be used and where to plug them into outlets. •	Double check the inputs on each piece of sound equipment or other audiovisual to make sure your cabling is effective. •	Include items such as Mac adapters for LCD projectors or miniplug adapters for connecting laptops to sound systems. A 12 ft. center-to-center separation is best for maximum comfort and safety. A 12.5 ft. center-to-center separation is best for maximum comfort and safety. A 13 ft. center-to-center separation is best for maximum comfort and safety. AZTEC CALENDAR The calendars influenced all aspects of Aztec life. They were a tool for planning farming and commercial tasks, religious ceremonies, festivals, and war. The Sun Stone or Stone of the Five Eras, known as Aztec Calendar is a late post-classic Mexica sculpture housed in the National Anthropology Museum in Mexico City, and is 358 cm (11.75 ft) in diameter and 98 cm (3.22 ft) thick, and it weighs about 24 tons. In the center of the monolith is the face of the solar deity, Tonatiuh. Biweekly online magazine delivered to 15,000+ email subscribers. attractions and itinerary ideas for meeting planners. more in Mexico, Cuba, Dominican Republic, Panama and Costa Rica. slides, swim with dolphins, let loose with classic carnival rides, and leave your friends in the dust as your go-kart speeds its way to the finish line… and all that’s just the beginning. Can you handle it? Scan the QR Code to read the latest issues. Our Creed "We are those neatly attired people in the turquoise blue and white uniforms. Many people call us “the Smurfs.” We are knowledgeable, witty, fun to have around, and beautiful or handsome (not necessarily in that order). We can run faster than Speedy Gonzalez, we can be in two or three different places at once, and we are willing to do anything legal for our clients. You can find us popping up at airports, historical and archaeological sites, deluxe resorts, charming hotels, golf courses, scenic beaches, and even at the best restaurants in town. We enjoy Smurf teamwork because it's fun and having fun doing our jobs is our passion. We can do the impossible right away –miracles may take a little bit longer”. Ever since 1986 we’ve been working passionately with the sole mission to Make YOU look GREAT!.